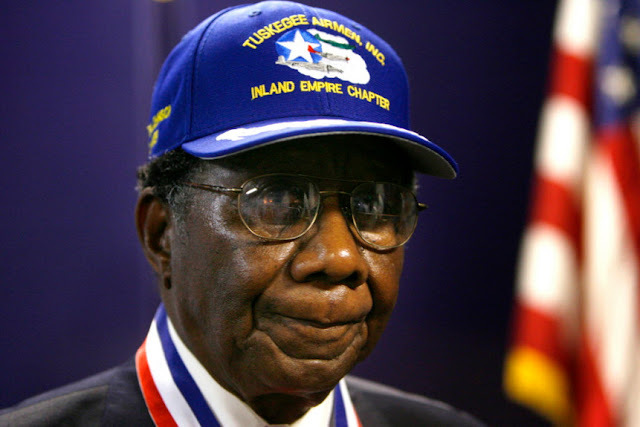 Buford A. Johnson, a Tuskegee Airman who served as a mechanic and crew chief in the Army Air Corps and U.S. Air Force and spent his retirement years introducing new generations to the history of the World War II African-American fighter corps, has died. Johnson, of Highland, died Saturday, April 15. He was 89 and a retired master sergeant after an Air Force career that included World War II and the Korean War, according to his family obituary. Johnson served from 1945 to 1966, starting with the famed 99th Fighter Squadron formed for African-American service members in Tuskegee, Ala.
Johnson was with the 99th from 1946 to 1948, the year President Harry S Truman issued an executive order desegregating the armed forces.